While we are no strangers to the fact that Jaipur is known for its historical monuments, palaces, royal weddings, nonetheless it is equally known to be a shopper’s paradise. When in Jaipur, shop… shop… and just shop! 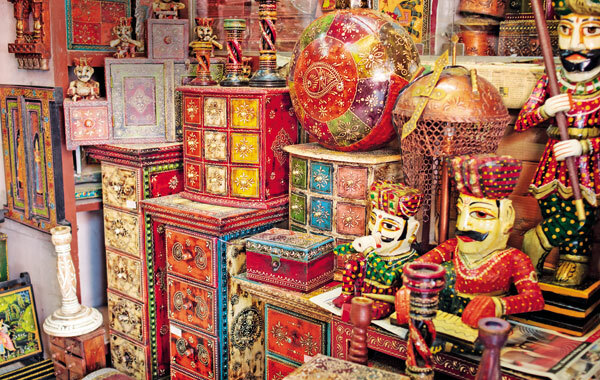 Touted as one of the finest city to shop in Rajasthan, the splendid city of Jaipur offers a wide range of Rajasthani traditional stuff. And what you find in Jaipur is nowhere to be found in the world. For all you know, people from across the world come to Jaipur to shop. 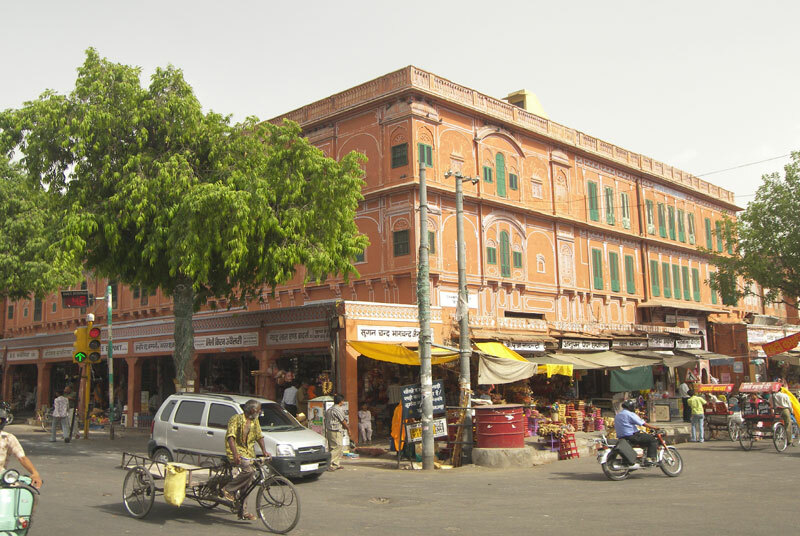 More than anything else, it helps in boosting the tourism of the city because people come in droves to shop in Jaipur. From the most exclusive designer stores to market stalls, there is something for everyone. Not only common people, but even celebrities are highly fascinated by Jaipur and the Rajasthani stuff it has in store. Shabana Azmi came to Jaipur last year to shop for her house. She wrote on a social networking site, “Driving to Jaipur for the day to shop till we drop for our Khandala house.” For those who want to do jewellery shopping, Jaipur is the ‘it’ destination. It is famous for its jadau, lac and kundan jewellery of precious and semi-precious stones. Very recently, when Hugh Jackman came to India with his wife, they visited Jaipur and shopped for Rajasthani block printed fabric and lots of jewellery. Also, whenever TV actor, Manav Gohil, visits Jaipur, it is front-of-mind for him to visit the local markets to buy jutis. He said, “The jutis are amazing and whenever I come to the city, I get loads of them.” The perennial favourite markets in Jaipur are: Bapu bazaar, Chaura Rasta, Tripoli bazaar, Maniharon ka rasta, Jauhari bazaar, MI Road among others. From Rajasthani kurtis, jutis to ethnic saris, it’s a one-stop destination. Not to forget the Jaipur ki razai which is very famous not only in Jaipur but across the country. A shop-keeper in Tripolia bazaar, Vikrant Jain, shares, “There is a huge demand for Jaipur ki razai and we get orders throughout the year. 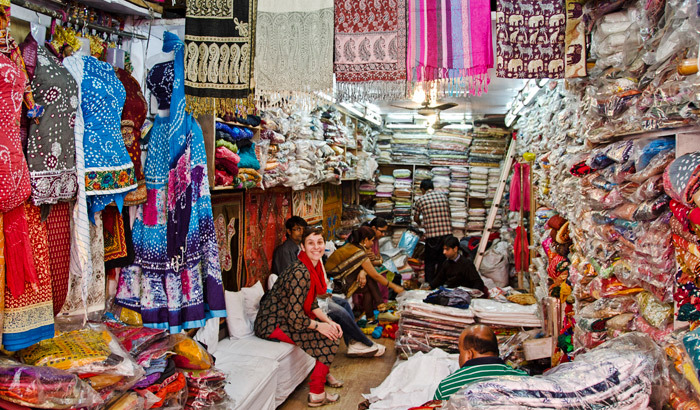 Not only Indians, there are a lot of foreigners also place orders for the razai in bulk.” Moreover, it is difficult to avoid the bagru prints and bandhini textiles of Jaipur. Also the lehriya and mirror-work saris and suits are something to die for when shopping in Jaipur. A shop-keeper in Bapu bazaar, Ravinder Kumar, shares, “More than the local people, we get foreigners and people from other cities in droves to buy lehriya and bandhini saris and suits.” Other markets in Jaipur are the Ramganj bazaar known for embroidered shoes and Kishanpol bazaar for tie and dye garments. And for block printed garments and blue potteries, the best place is the Saganer village. It is also known for its leather items like jutis, mojaris, bags, purses among others. Apart from this, one can find accessories like colourful bangles, Rajasthani neck-pieces et al in the walled city. There are 470 hotels in Jaipur including luxury, heritage, budget, cheap Jaipur hotels. Among budget hotels in Jaipur, Golden Hotel Jaipur offers 30 rooms of different categories to fit into your needs. It is located nearby Central bus stand and Railway station. It claims that it is one of the best cheap hotels in Jaipur that offers two-star facilities at budget- price.